We arrived in Hakone under a not so friendly weather, with the rain accompanying us for the whole day. Given its altitude, this is translated to cold days that really could make you miserable when your socks get wet and the wind start to blow in your face. 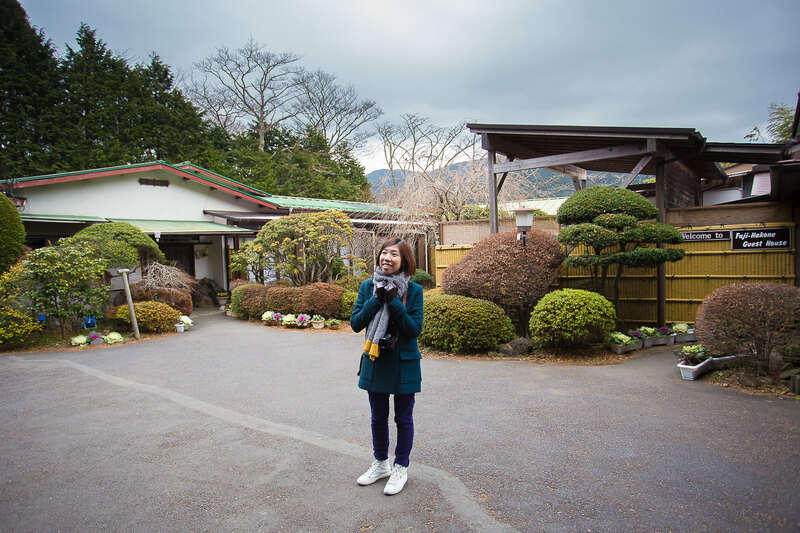 However, we braved the element, as we only planned a day to explore Hakone. Much to our disappointment, due to some volcanic activities, Owakudani was off-limit, and with it, gone was the Kuro-Tamago! (Kuro-Tamago are eggs that are cooked by the heat of the volcano, due to the sulphur reaction, the eggs' shell become black, hence the name Kuro for black, and Tamago for Egg). Time does fly when you have fun. On our last day in Tokyo, after the Tsukiji Market, we went to visit the garden of the Imperial palace. However, given the awesome sight we experienced at Meiji Shrine and Senso-Ji temple, the garden is a bit pale in comparison. We were thinking to ourselves that maybe this garden would be much more beautiful in Spring. 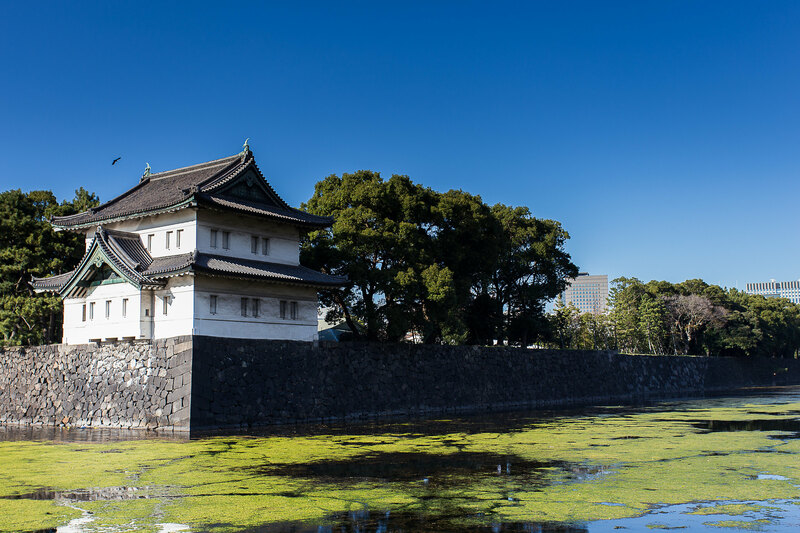 The Imperial Palace complex is surrounded by moat, still filled with water, which gives it some out-of-placeness amidst Tokyo very modern setting. 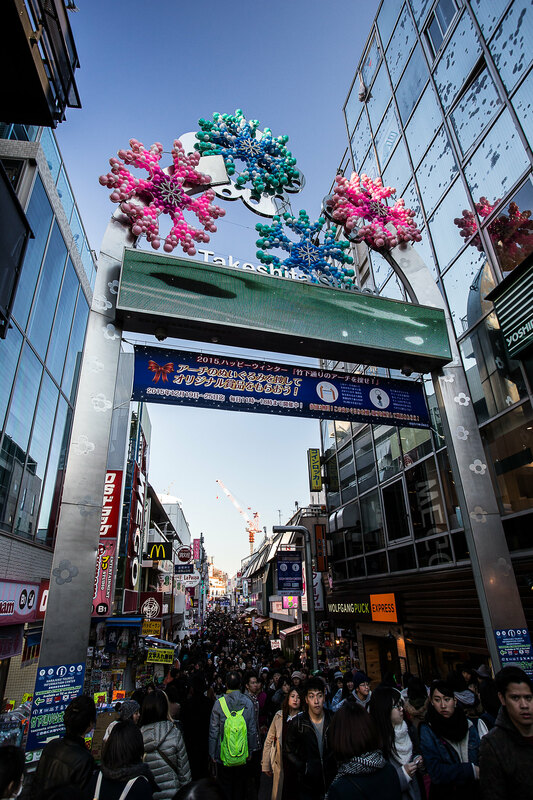 After spending a short time here, our leg brought us to Akihabara. 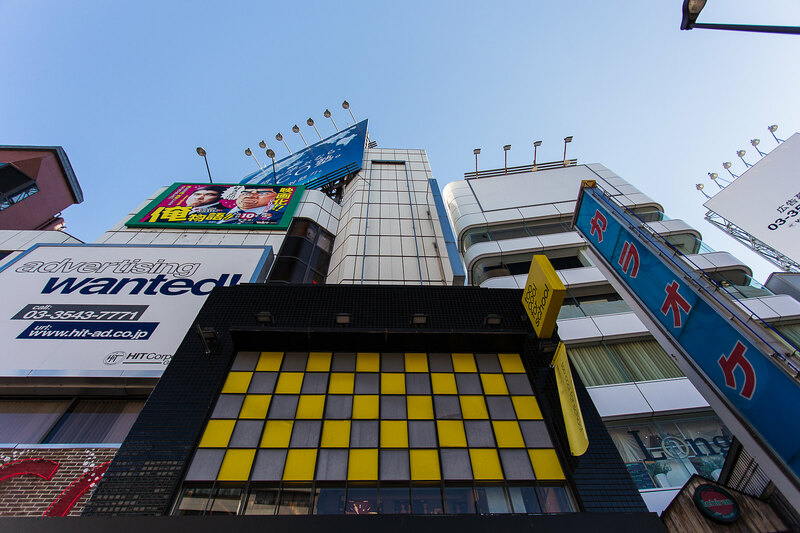 Unfortunately, Akihabara is not for everyone, and we spent less time here, but we still took some photo for you! Photography by Edwina & me. 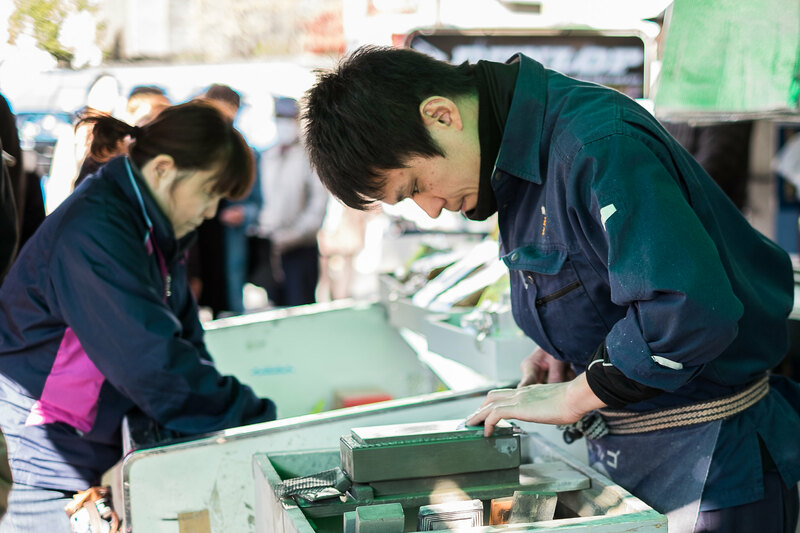 Tsukiji Fish Market is very popular due to its fish auction, which only happen early in the morning (and by early, you will need to be there by 3am). Given that there will be no public transport at the time, and because we were to lazy to wake up THAT early (in the midst of winter, mind you!) we opt to visit it a little bit later, when the sun has warmed the atmosphere. It was CROWDED! All sushi places were filled with patrons, and people were queueing outside. If you like sashimi or raw fish, eating sushi here is a must, because you will get the freshest fish. For us, who have perpetual fear that eating raw food would led us to food poisoning (and that the texture of raw food is just gross), the market has great alternative to fulfil our appetite, from the onigiri, mochi, barbequed seafood, teas and many more! Senso-Ji is an ancient Buddhist temple in Asakusa, one of Tokyo's oldest that was built to venerate Boddhisatva Kannon. 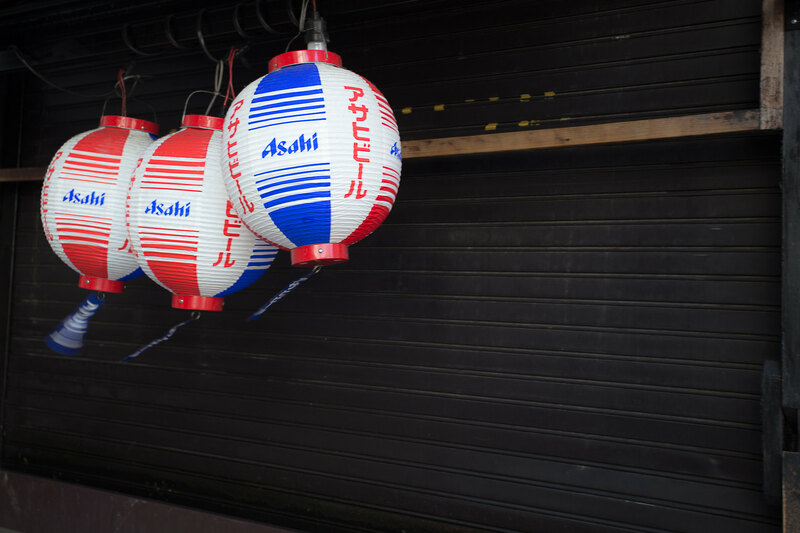 The path to the temple, known as Nakamise Dori, is a delightful street, with many vendors, selling gifts and food for tourists and pilgrims alike. The temple itself is a beauty, with its pagoda, imposing gates, and halls. 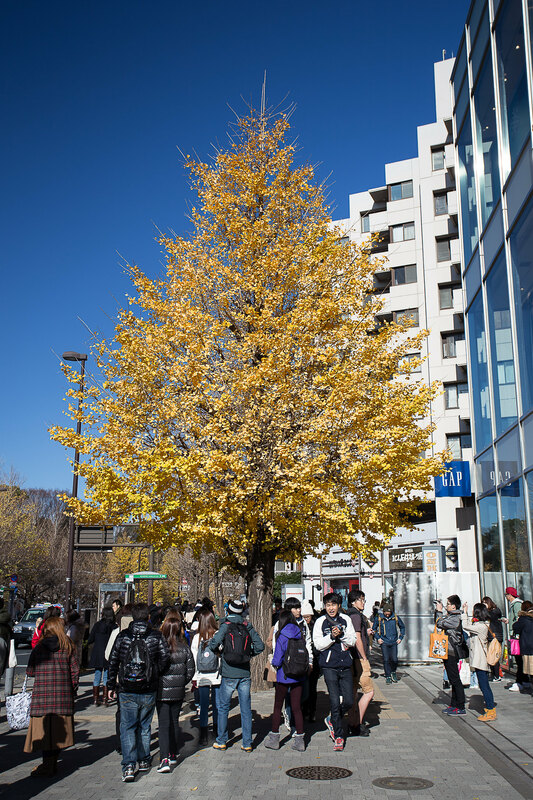 it was crowded with tourist in winter, so prepare yourself to face a throng of people if you visit it in Summer. 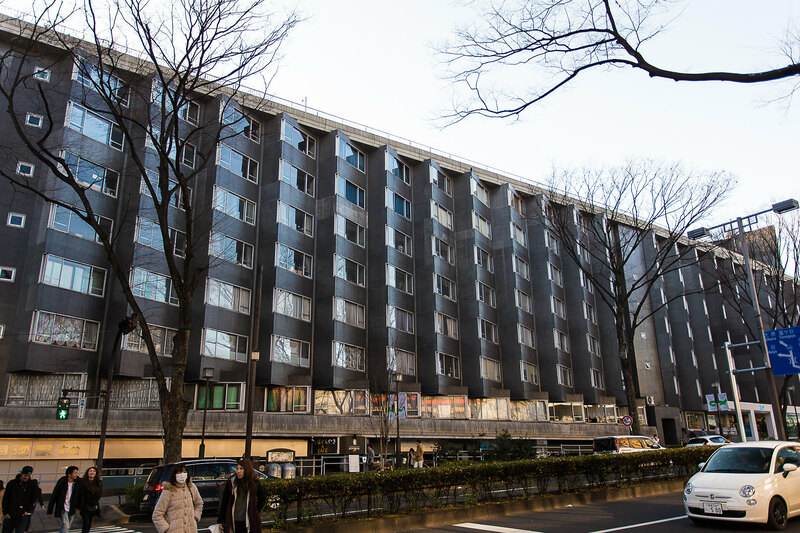 The temple itself only opened for viewing until 6pm, and many shops in Nakamise Dori will close shortly after. 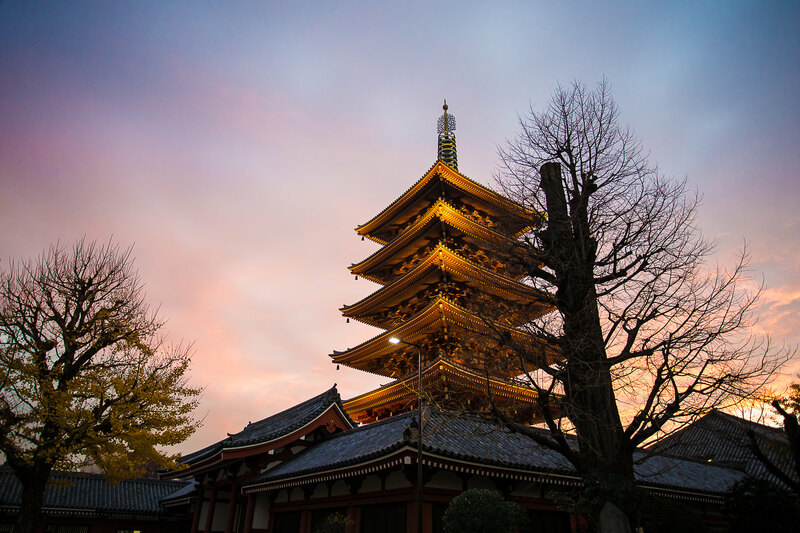 We were lucky to be there in winter time, as it allow us to shot the temple, with the dusk light. Photographs were taken by Edwina & Me. 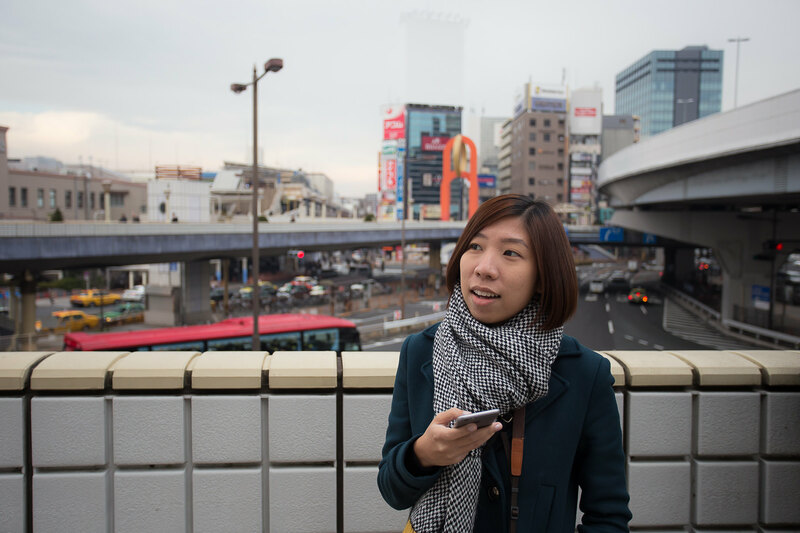 To get to Senso-Ji temple, you have to walk through Asakusa, (unless you have unlimited budget and choose the more comfortable option of using Taxi). We were pleasantly surprised of the charming little things we found along the way, the stores that sell Japanese traditional utensils, and various buildings that were preserved, in contrast with all the high rise modern concrete one, including Kano Jigoro's dojo (Kano Jigoro is the father of Judo) and Honzan Higashi Hongan-Ji temple. 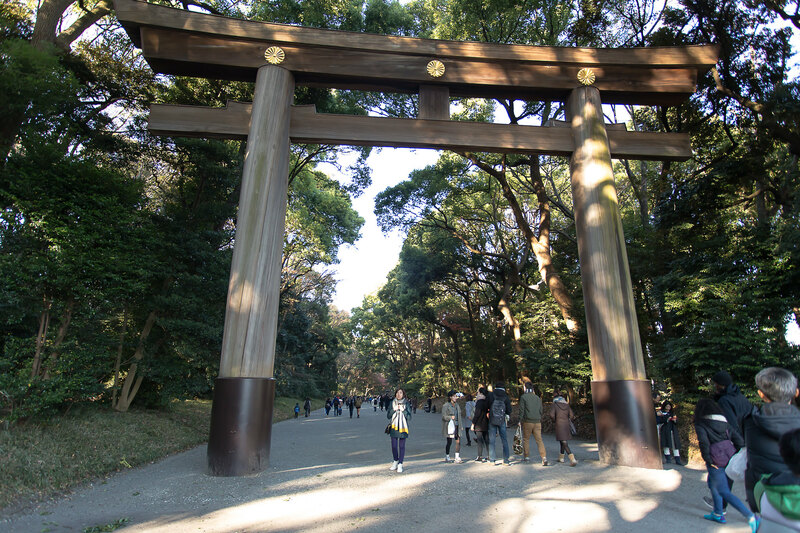 Just a few steps away from the famous, bustling Harajuku, the Meiji Shrine garden stands in its serenity, gives you the feeling of being transported in time and space. The Shinto shrine is not only beautiful and majestic, but also surrounded by beautiful forest-like vegetation. I've never been to Japan before. For me the country was amazing, rich with folklore, cultural importance and such originality that shapes many things in our life, and it definitely in my country to visit list. However, admittedly the decision to visit the country is not something that come easily. 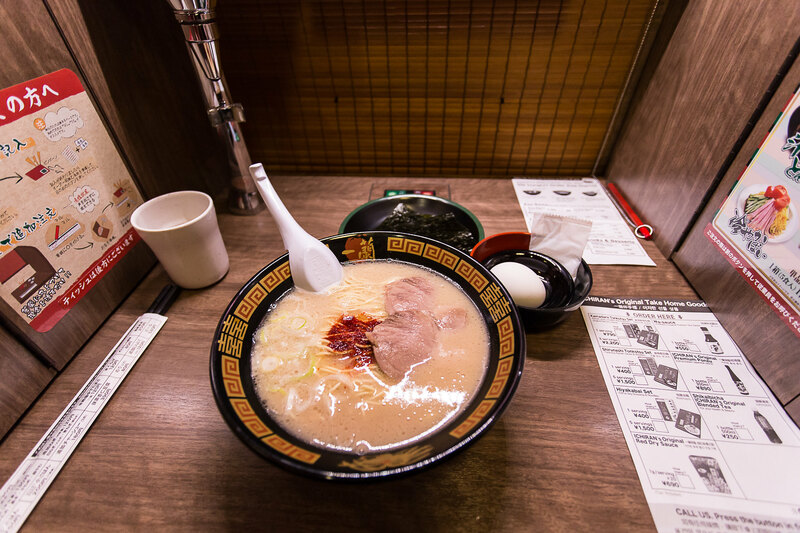 Japan is well known as an expensive country to visit, and at the time 2 weeks seems inadequate to enjoy all the country has to offer. We got our first break when we found this cheap ticket, a return ticket for a fraction of its normal price, albeit with prolonged transit time in Hanoi. Next, E's insistence to assure me that everything won't really put a hole in our pocket (it kinda did, a bit) actually sway me, and here we go, enjoying 2 weeks at this beautiful country. At the end of our time here, I made a promise to visit this country again in the future. This post is a starting point of many more to come that documented of our 14 days journey. In this series some of the pictures are taken by E (from Everyday Edwina), so I would acknowledge that up front. 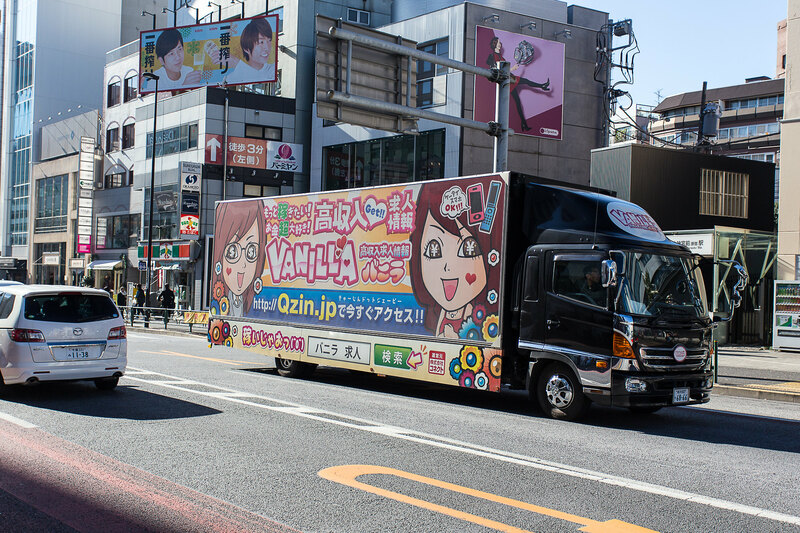 This truck played a loud music "Vanilla, vanilla, vanilla!" Asahi, perhaps number 1 beer in Japan? 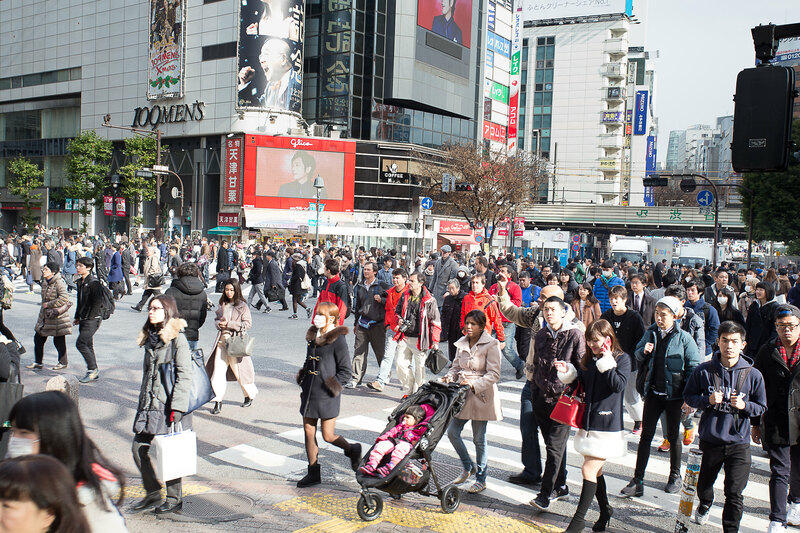 Shibuya Crossing, not so crowded that day. 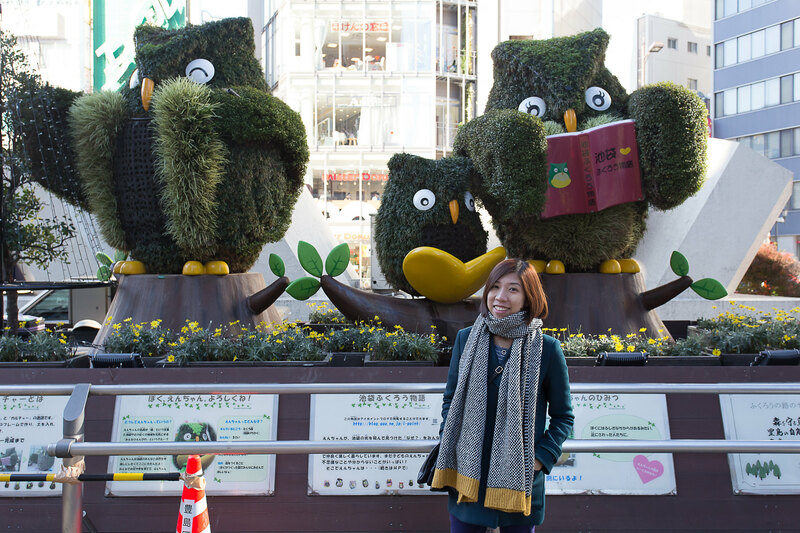 So we are visiting Japan in the middle of Winter. 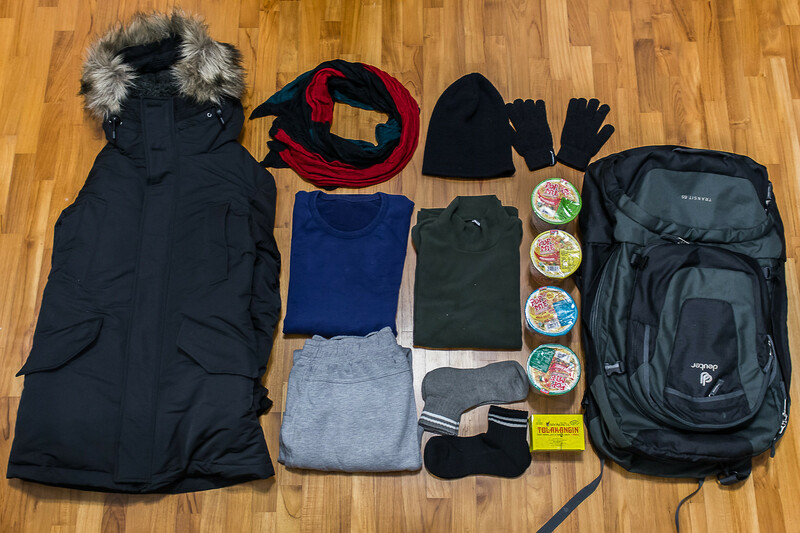 As someone who never really travel to snowing country for more than a couple of day, the preparation proved to be a bit daunting and exciting at the same time. 4 Pop Mie instant noodle, something that I think might tastes better than Japanese ramen! Aside from these items, I will only bring a couple of shirts and a pair of jeans. I will try to fit them all in my deuter backpack. 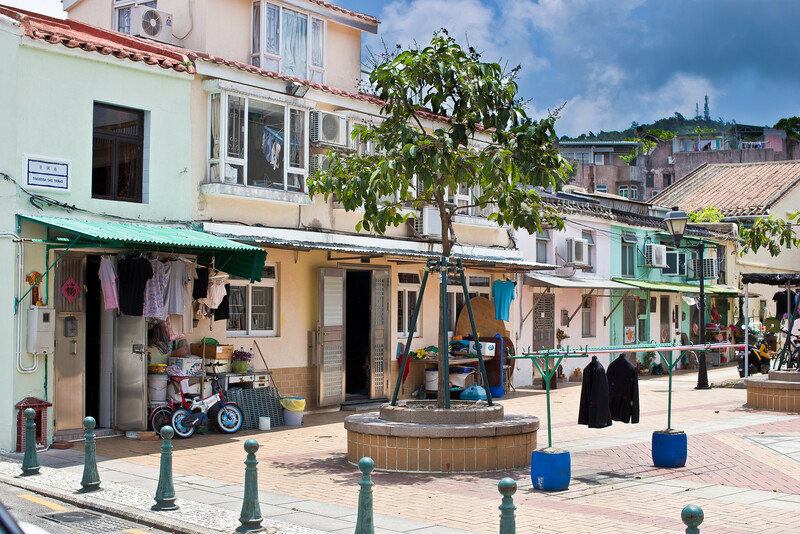 Visiting Coloane was not high in my list, if it was not for E's insistence to spend a day in the area, I might missed the serenity of the southern-most part of Macau in my (wrongly held) belief that it has nothing to offer. Coloane is a gorgeous location, with many colours and beautiful locations that practically scream for your attention, especially in front of the Church of Francis Xavier. It also houses the Lord Stow's bakery, with their must-try Portuguese Egg Tart, which are really yummy for just 9 MOP each! 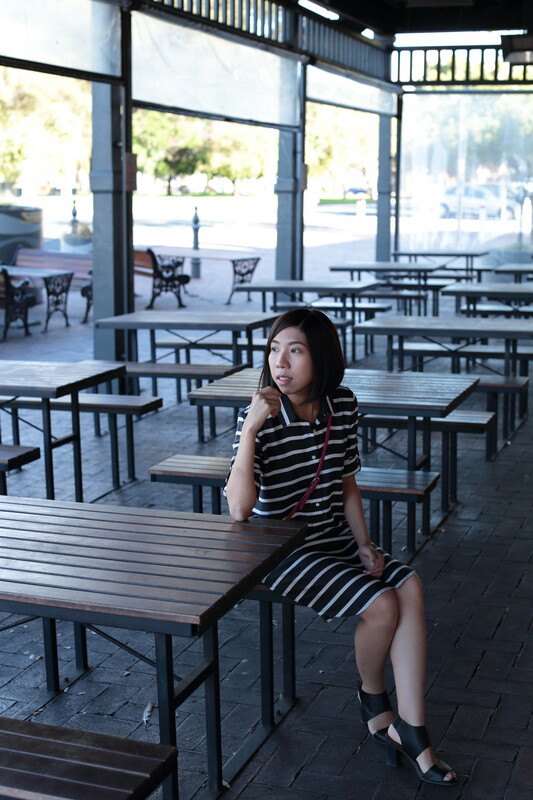 (edit: at the time I was back in Macau, the inflation took control and I found myself in disbelief, after seeing the new price of 10 MOP per piece). We climb to the Alto de Coloane (meaning we ride the free shuttle bus). On top of this hill, there is this replica of some old palace from whichever dynasty in China. A really beautiful place, yet devoid of tourists (which was basically the feeling I got from travelling around Coloane). All in all, I really enjoyed my time in Coloane, and I wish we spent more time here. Unfortunately, the summer sun and the heat brought premature end to our excursion, forcing us to stopped several times to rehydrate ourselves, even umbrella didn't help. 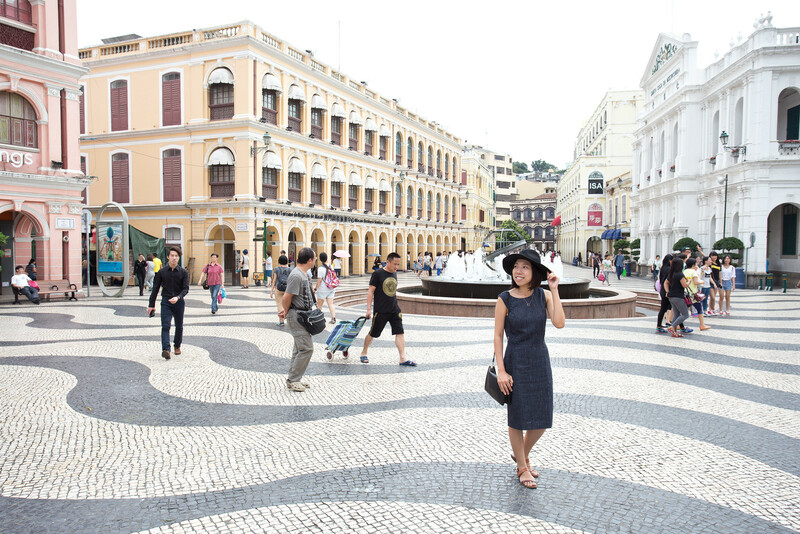 In the middle of Macau Peninsula, there is this network of public squares that to some extent represent Macau history and culture. The biggest one is the Largo de Senado, or the Senado Square (or if you really want to translate it to English, the Senate Square), which is a part of the UNESCO Heritage Site. This sprawling area (of about 3700 square meter, according to Wikipedia) is clearly marked with the white and black cobblestone that create trippy, wavy pattern. In this area, you will find old churches and Portuguese style building on one alley, and an old Chinese mansion (Lou Kao Mansion) on the other. 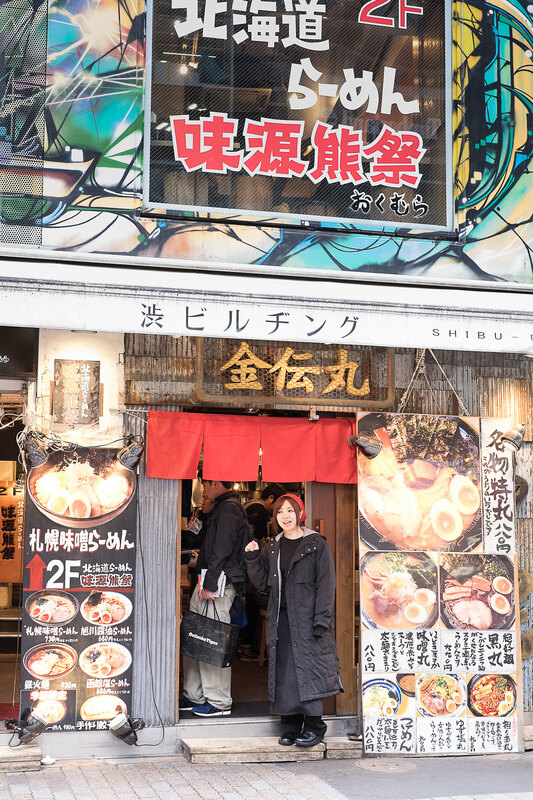 One street is filled with traditional street food which includes steamboat-like offal and meatball soup, side by side with Italian gelato stalls and a Ramen restaurant a stone-throw away (assuming you have a very strong arm). While you're reading the description, you might think of yourself transferred in time to the olden days. However the line of stores in this area would certainly bring abrupt end to that notion (whether it's good or otherwise, I believe would differ from person to person). 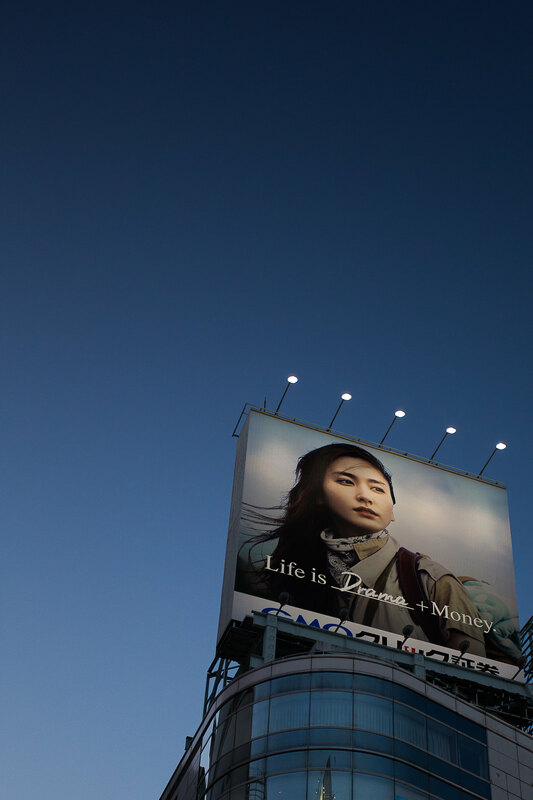 Here we are on one of the most beautiful part in Macau, and as your eyes sweep the horizon, come to the vision of various international brands, and (most surprisingly) rows of beauty stores. Maybe the Macanese take their beauty regime very seriously. The peak of the experience, figuratively and literally, is the ruin of St. Paul Church, which stands on top of the hill overseeing Macau, just beside the old fort (a sign of State-Religion duality? please don't read too much into it). The fort no longer shoot cannon balls to the sea, most possibly because all the casinos that block the way. Food in Macau generally is quite expensive, as we spend about SGD 10-15 for a simple meal. 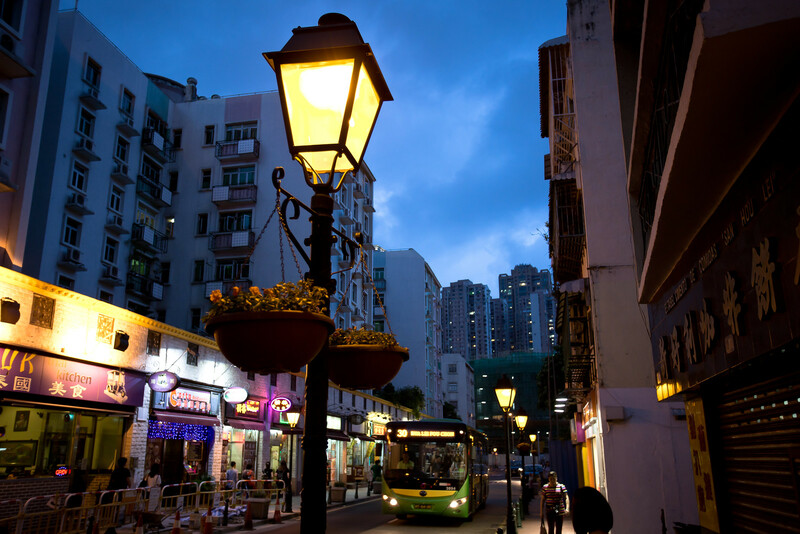 Taipa is no exception, but at the very least, the environment does offer a different experience from the bustling city just across the bridge. and the perseverance to move forward. for all stormy days and uncharted waters. For you have sailed away. a safe harbour and terra firma under your feet. as it has no reason or rhyme. My order, the bread is amazing, and the chicken pie tasted great. E and I love food, and I'm guilty of sometimes splurging money on delicious dishes. This is somehow the beginning point of this journey. 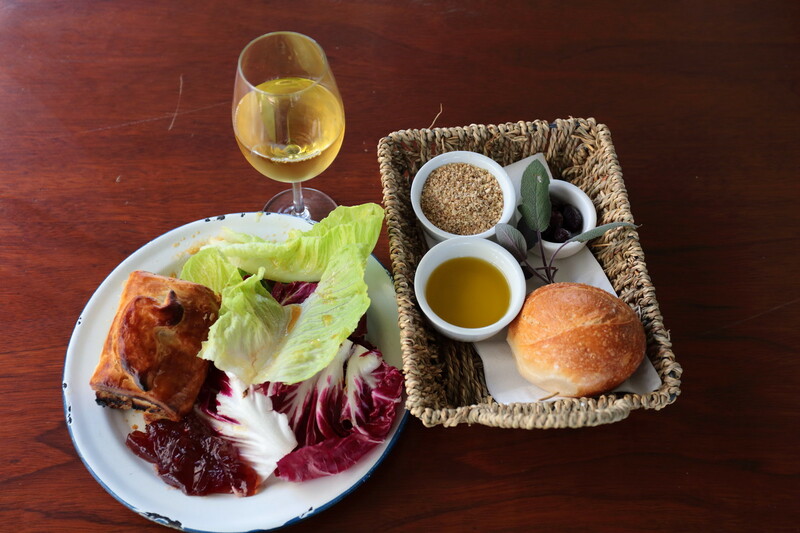 In Australia, Maggie Beer is a household name of good cooking. A renowned chef, she has written several cook book, starred in many cook shows, including a semi permanent fixture in Masterchef Australia (go watch it if you want to see competitive cook TV show, this programme really puts more time on technique, and the masterclasses were really useful). 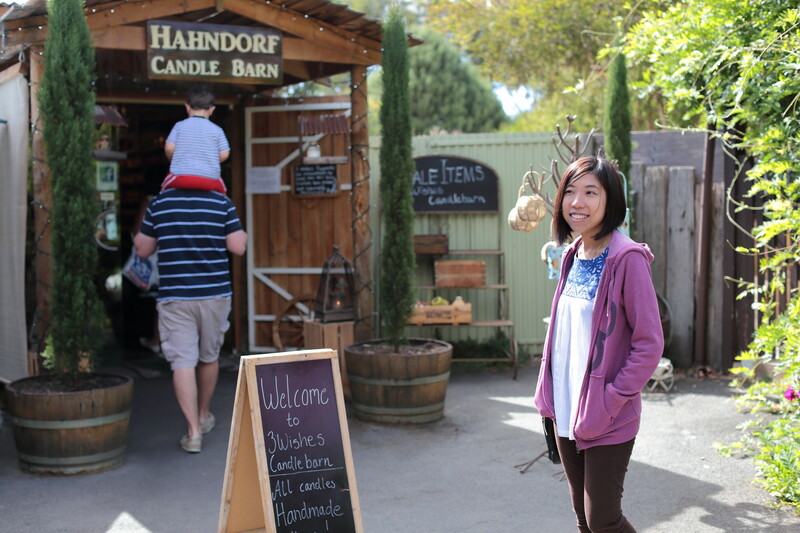 Hahndorf is a small city in South Australia, about 45 minutes drive from Adelaide, and is the oldest German town in Australia. These photos were taken across our last few weeks in Adelaide. While we stayed only for a short while, there is a feeling of attachment to the city already and the small things that we did together. There are a few pictures that wouldn't fit into any of the album in my blog, because it was taken along the way, in-between points. I just put it here as a remembrance of what we've encountered in New Zealand. Hope to visit it again one day. The day of a glacier is numbered, especially in the current climate (yes, I'm judging you who throw garbage in the wrong bin. :p ). Queenstown gets its reputation as the "Adrenaline Capital" or the "Adventure City" due to the fact that you can do a lot of interesting things, year round. Unfortunately, most of these adventures come with considerable price range, especially if you consider your fear of height. Te Anau is the closest city to Milford Sound. This city, just aside the Te Anau lake, is a charming little town, with many options for tourist. If you have enough budget, a flyover on the fjord would be a fantastic experience. Other travelers with our budget could opt to visit the glow worm cave, just a short ferry ride from the town. This is a new experience for me to go inside the cave and see the whole cave ceiling peppered with tiny little glow. Unfortunately, photography is strictly forbidden inside the cave since sounds and light can annoy the tiny worms. Larnarch Castle is the only castle in New Zealand. Built by William Larnarch (a banker AND a politician, no wonder he could afford a castle) as a residential place since his son fell in love with the view from this hill, overlooking Otago peninsula.